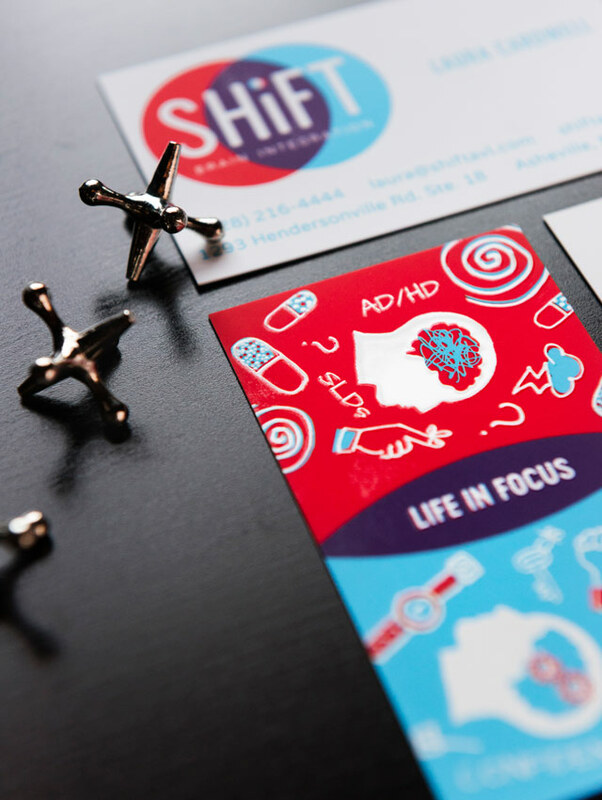 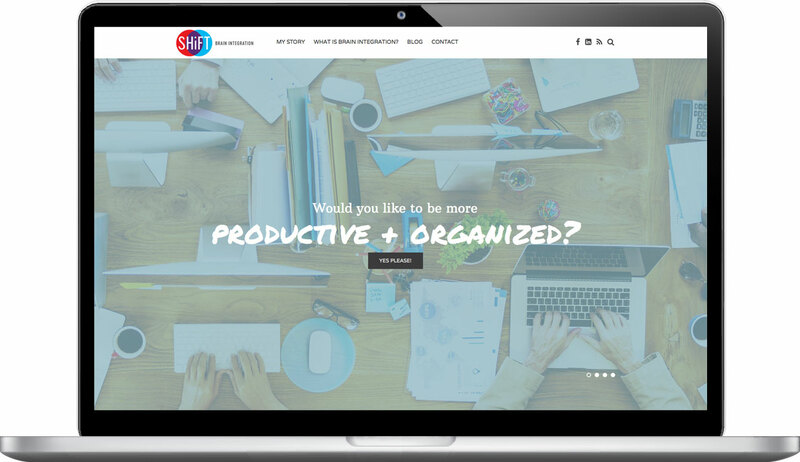 SHiFT Brain Integration offers an alternative approach to medication for the treatment of ADD/ADHD and learning disabilities. 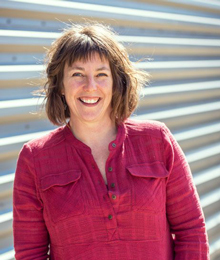 It uses muscle monitoring and the Chinese meridian system to identify and release the blocks in your brain that are creating these difficulties. 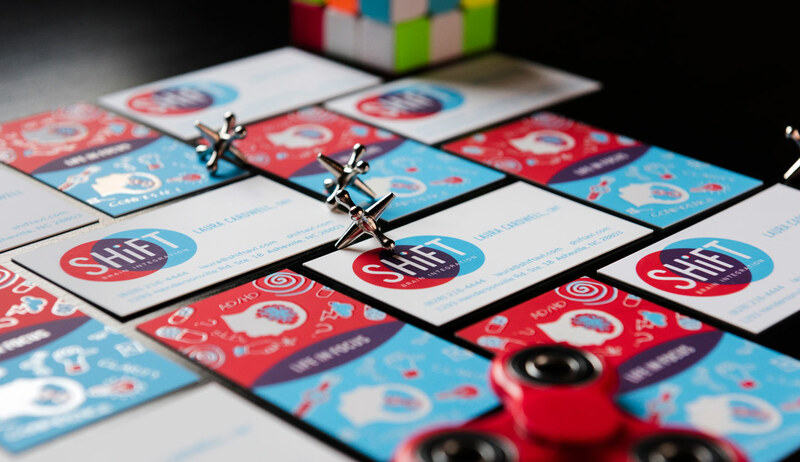 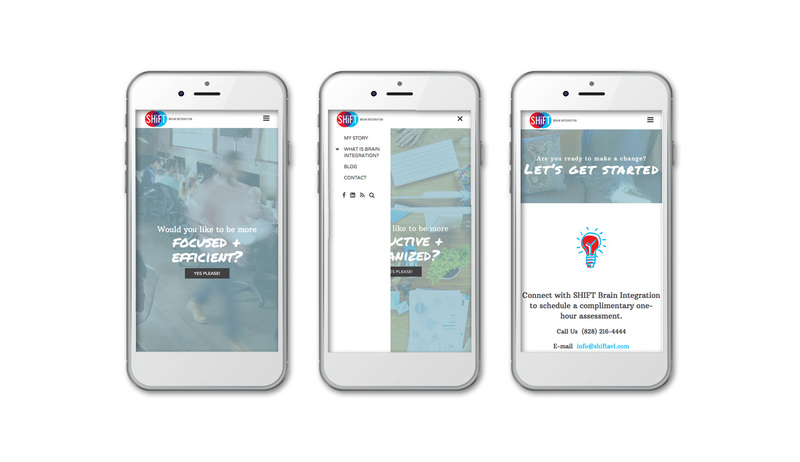 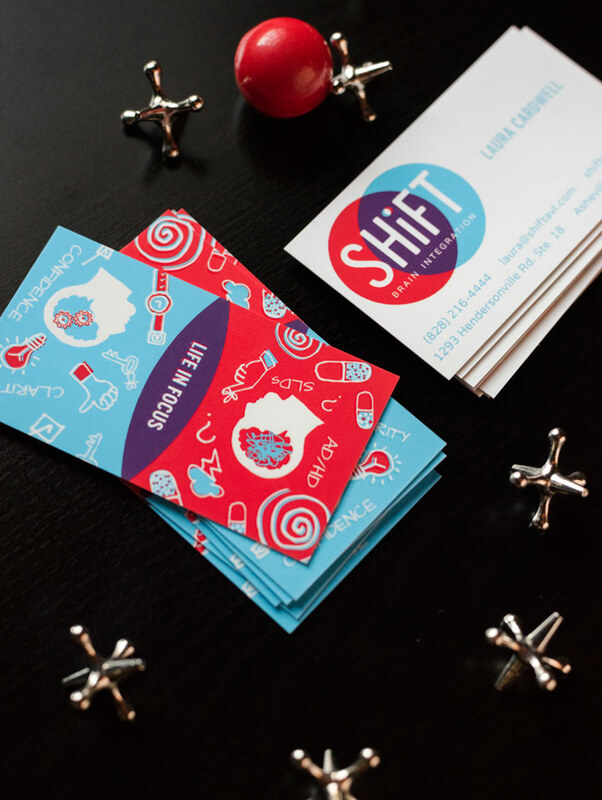 In our work with SHiFT, we wanted to clarify their message to communicate the shift in focus that happens for their clients. 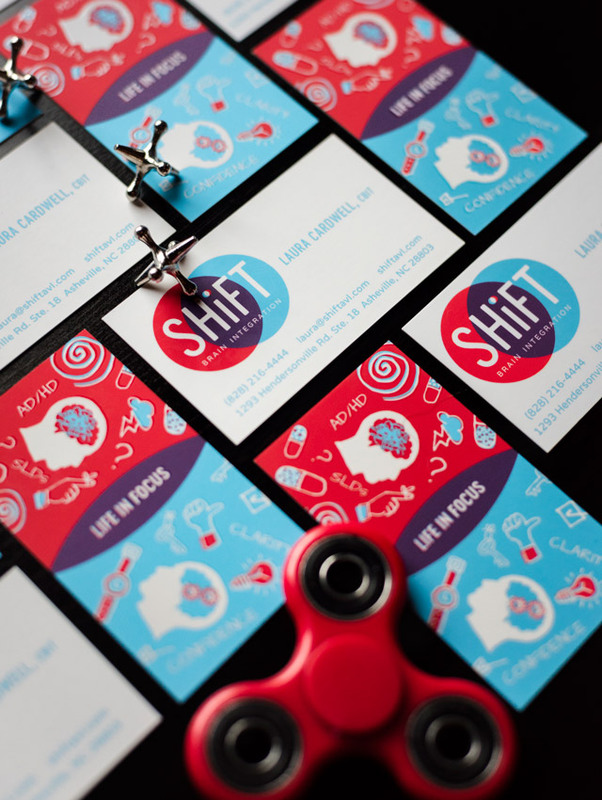 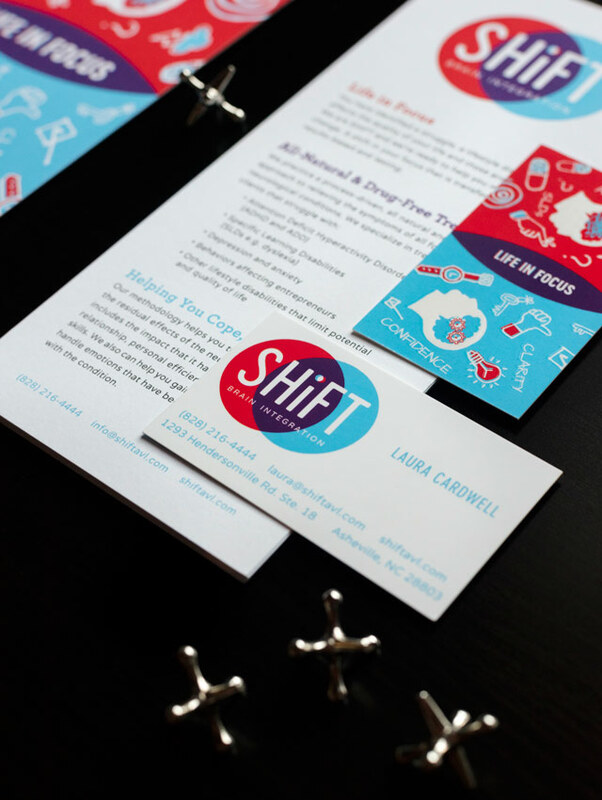 The SHiFT brand visually shows the transition from the state of disarray and distraction into a more calm sense of focus through the use of bold colors and illustration. 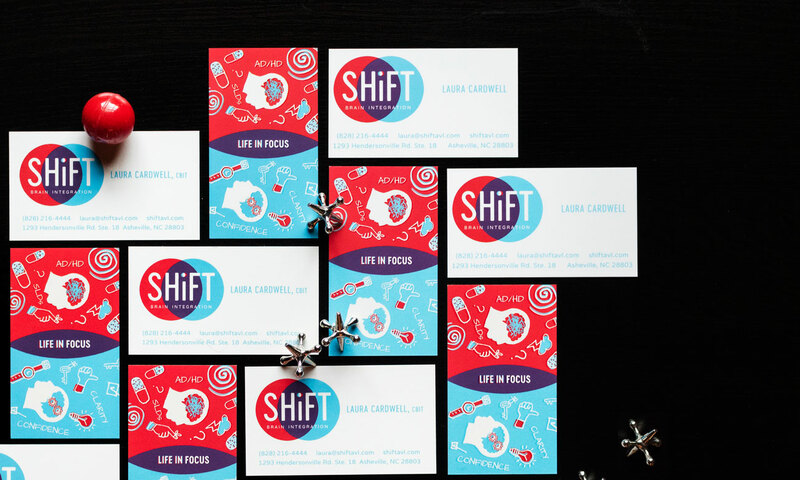 The brand utilizes whimsical child-like illustrations to show the mindsets on both sides of the Venn logo and to connect with clients of all ages.